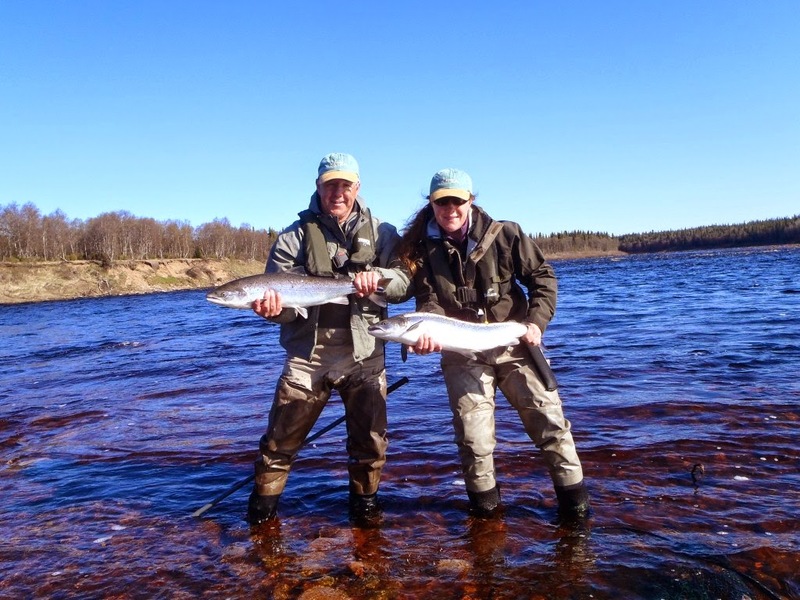 The Varzuga is an endlessly fascinating river and every year it can surprise you. At Lower Varzuga the river is roughly 250 yards wide and yet yesterday it dropped 8 inches – that is a huge amount on a river this wide. It means that across all camps, new beats are coming into action and the pools are starting to show themselves. 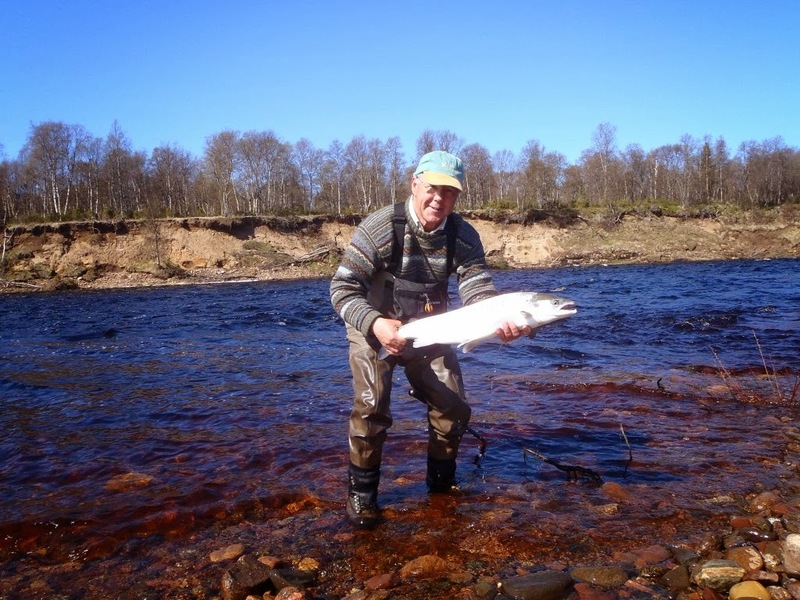 Such was the scene for yesterday’s fishing and seeing rods standing on Bear and Morskoy Island made us feel as if Lower is really coming to itself. All of which led to a great day and we finished with 84 fish to the 10 rods. Father and daughter team of Joe and Lucy M had a fabulous day landing 21 between them. They had a memorable double hook up at Morskoy Island and had action throughout their session. We lost a lot of fish yesterday, for whatever reason and whilst Peter H landed 12, he also lost 24 more that he had on for various lengths of time which gives you an impression of the amount of encounters we are having. Perhaps the best news of the day came from Pana. It was not a record day by any means but with the 7 rods landing 10 fish it was a really encouraging day. 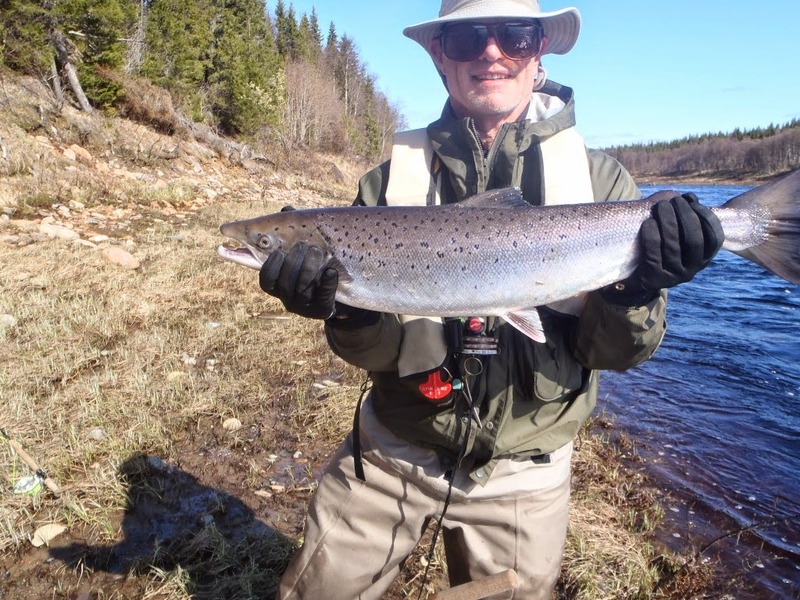 They landed some of those at Ponzoi but also landed a couple in the pool beside camp which was just what we wanted to hear as it means that slowly and gradually the main run is getting to them. On past performance we would expect the numbers to climb exponentially with every passing day. ﻿﻿﻿﻿Kitza had a decent day but again it was a little odd. They landed 20 fish which was not a bad result but we would have expected more. 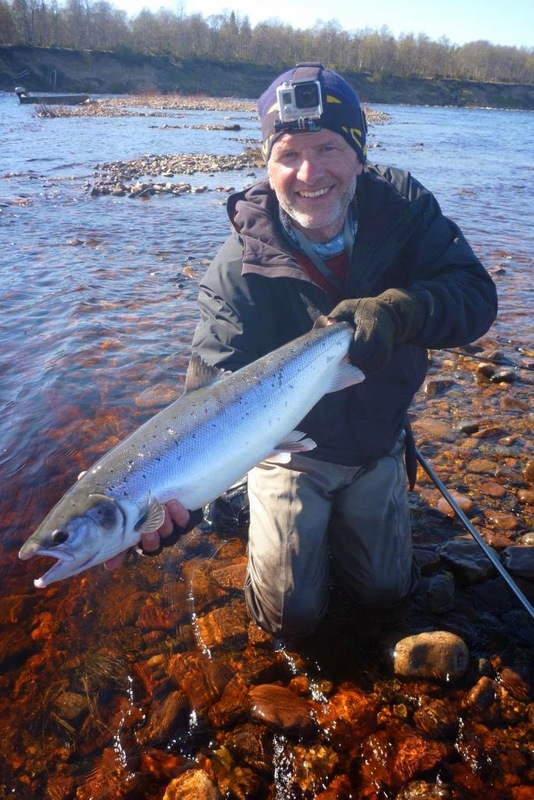 4 fish were landed from Goldmine which is the first time they have landed fish that far up river and shortly we would expect the whole of the upper river to open up which is probably the most beautiful of all of the sections that we fish across our 4 camps. It is the last day of the week and various rods are hatching plans to miss dinner and to carry on fishing as it is really too good to waste so I suspect final numbers will be quite strong but I will report those on Sunday when I next update the blog.